Our Favorite New Custom Cutlery and Chef’s Knives – On Sale! – Design Your Lifestyle. Our Favorite New Custom Cutlery and Chef’s Knives – On Sale! New Custom Cutlery and Chef’s Knives To Drool Over! Whenever we here at Design Your Lifestyle are in search of the latest high-quality custom cutlery and chef’s knives (a few of us are pretty serious home chefs, after all), there’s only one place we turn. Sometimes, skipping the bigger brands in favor of artisan knives and cutlery pieces is the best way to assure you get the very best craftsmanship, attention to detail, and unique individual pieces to call your own. Much like custom home design, there’s nothing better than having a set of knives you know are personal to you. Thanks to our trusted advisors at Buy Kitchen Knives, we’re always sure each knife we order is one-of-a-kind, handcrafted by expert craftsmen, and of the highest quality. 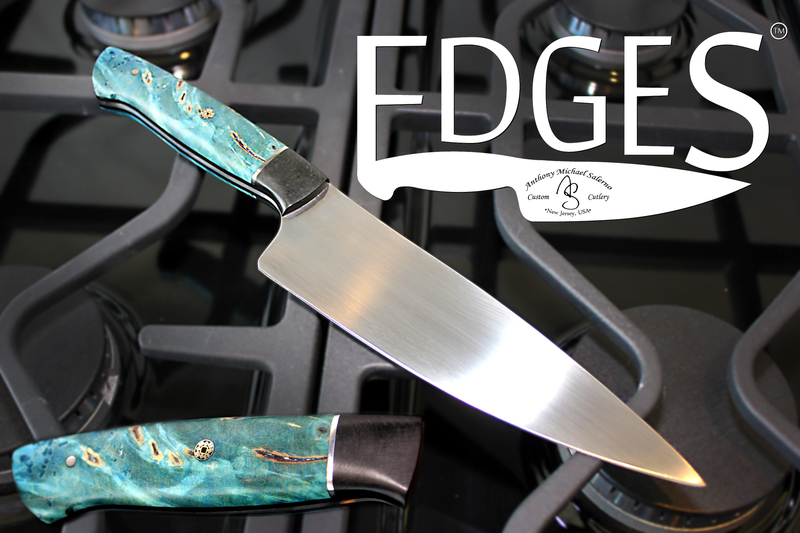 EDGES custom cutlery is now available at BuyKitchenKnives.com! The thing we like best about Buy Kitchen Knives’ selection is that each brand is proficient in small-batch custom cutlery. 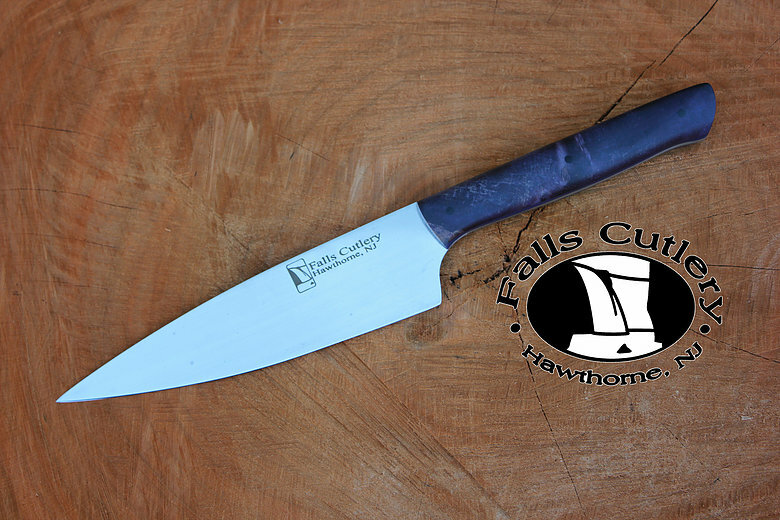 It’s also a one-stop cutlery shop for brands we love and trust like EDGES Custom Cutlery, Falls River Cutlery and AMS Knifeworks. Also, all of Buy Kitchen Knives’ prices INCLUDE US shipping costs – no hidden add-ons! With the new spring season of 2017 right around the corner, the staff at Buy Kitchen Knives contacted us directly and let us know about their Spring Blowout Sale. Some of their finest cutlery and custom knife pieces (many made within the last 1-2 months) are slashed in price to accommodate new stock entering their online storefront this spring. In other words, it’s the BEST time to invest in custom cutlery for you, a loved one, or a professional or home chef in your life. Here are a few of our favorite pieces in Buy Kitchen Knives’ Spring Sale stock! 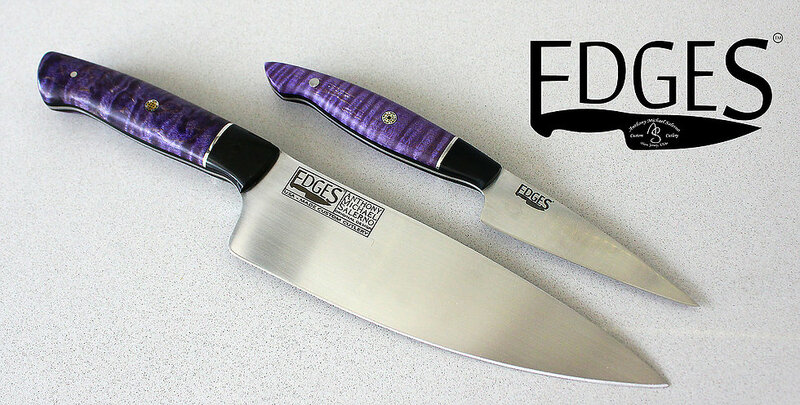 Crafted in honor of The Purple One’s life, music and passing, this Prince Tribute set features custom-made, one-of-a-kind 8″ chef’s and 4″ paring knives by EDGES Custom Cutlery. Priced down to move at just $700.00 combined, this handcrafted knife set is sleek, efficient and aesthetically beautiful. Those of us with smaller hands who love working in the kitchen know the struggle of finding a beautiful, strong 8″ chef’s knife with a handle that’s just a little too big or bulky for us. Enter the Petite Handle version of EDGES’ 8″ Chef’s Knife, with a smaller handle construction that still balances perfectly at the ricasso. A truly one-of-a-kind piece, this is a steal at $500.00.